Without a doubt, Central Park is my favorite place in NYC. It is such a special place and hard to convey that to someone who hasn’t been. It the center of the madness that we call New York City, Central Park is an oasis where in some places you feel worlds away from the Big Apple. 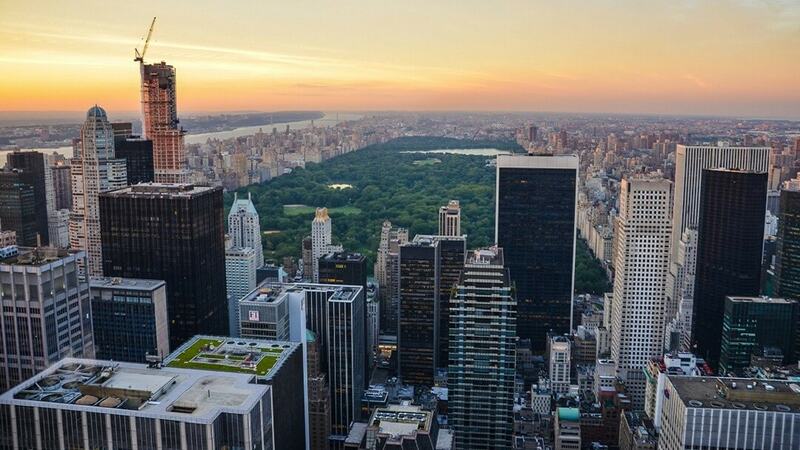 If you’ve never been, you also might not realize the size of Central Park. It may be overwhelming, especially on your first visit to NYC, and you may wonder what parts you should see. I suggest you start with some of my favorite places in Central Park. Oh and did I mention admission to Central Park is free! For over 150 years, Central Park has been the soul of New York City. 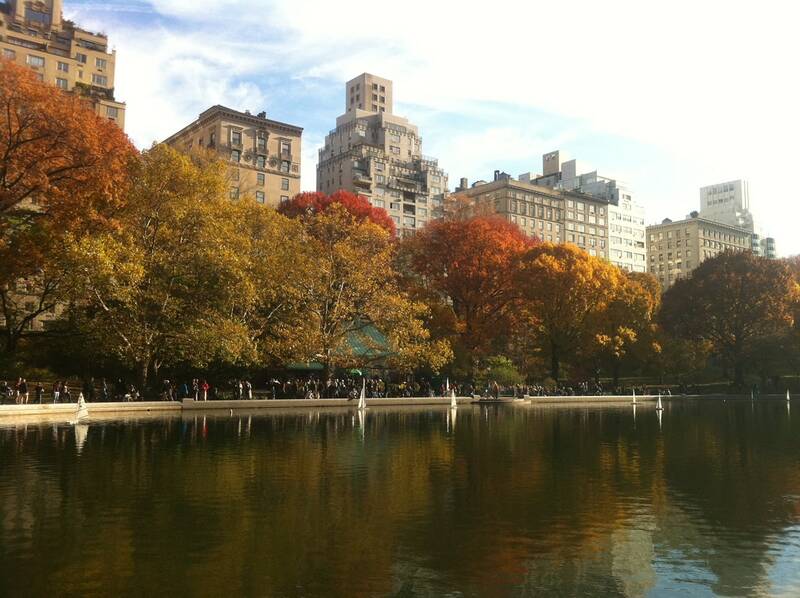 Central Park runs from 59th Street to 110 street and from Central Park West to Fifth Avenue. It covers 843 acres and features a boating lake, ponds, a zoo, fountains, statues, gardens, paths, and a skating rink. With all there is to see in Central Park, you may be wondering where to go first. I suggest you start with these five spots. This is my favorite area in Central Park. It gets its name from the sheep that lived here up until 1934. 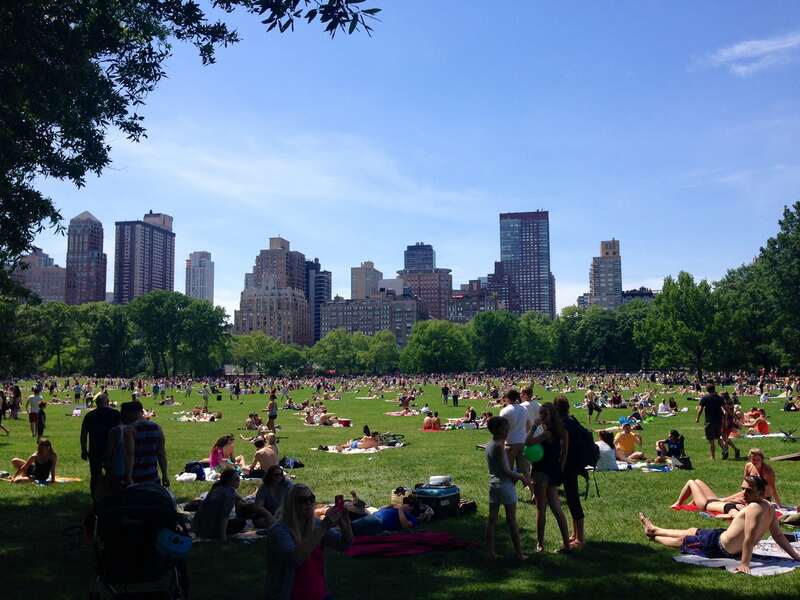 Spending a summer afternoon at Sheep Meadow makes me feel like I am at the beach – my happy place. Girls are out sunbathing in their bikinis, there are guys without shirts playing frisbee and tossing footballs. The people watching here is great; I have seen some very strange things. One time, there was a couple that brought a snake, which was a little scary! I have also enjoyed watching people do aerial yoga. You never know what you will see here. Sheep Meadow is one of the best places to picnic in Central Park. I love spending a day picnicking with my friends. Everybody brings something and we grab an area in the shade. There are usually guys that walk around and sell beverages. I usually bring a Frisbee, but you do have to be careful. On a nice day, it can get very packed! I have hit many people with the frisbee. Sheep Meadow on a beautiful summer day. The Great Lawn is made up of six softball fields located pretty much in the center of the park. This area makes my list because this is where they have Philharmonic in the Park. I admit I am not much of a classical music fan, but Philharmonic in the Park is my favorite annual event in the city. Usually, sometime in June or July, around 50,000 people gather to picnic and listen to the Philharmonic. The atmosphere is incredible, there is nothing like it. 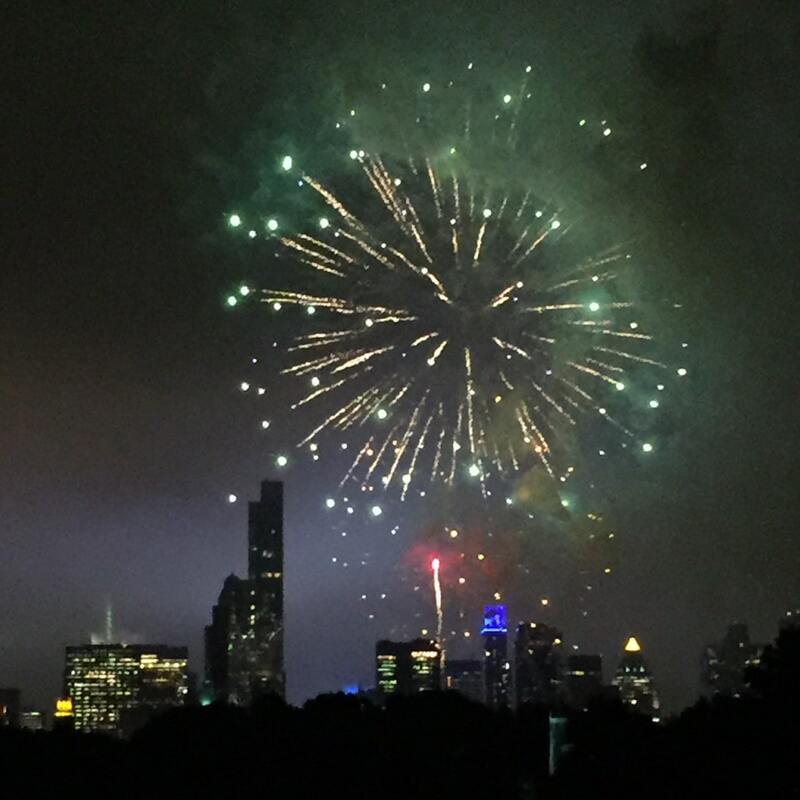 And then when the musical performance is over, there are fireworks with the Midtown skyline in the background. There are other events held on the Great Lawn as well, I also saw Bon Jovi perform. Fireworks show after Philharmonic in the Park. The Lake is one of the most instagramable places in NYC, but it makes this list because it is where you can rent a rowboat in Central Park. Not only is rowing good exercise, but it is a lot of fun. For some reason, I find it easier to paddle backwards. You might not see other boats, but it’s not a big deal if you bump into other boats. I recommend going early if you want to try the rowboats as the line can get long. The boats are available to rent from 10am-6pm weather permitting April through November. The rowboat rental charge is $15 per hour plus a $20 refundable deposit and up to 4 people can go in each boat. Unfortunately, they only accept cash. From the lake, you can also see Bethesda Fountain, which you have probably seen before in a movie. Also next to the lake is the Loeb Boathouse, an iconic restaurant that is definitely worth a visit. The Lake with the iconic Dakota building in the background. This is the largest body of water in the Park and it has a 1.5 mile running/walking track, which was recently renovated, around the edge. From the northern part of the track, you have a stunning view of Midtown Manhattan. This is definitely my favorite place to run in the city not only because of the scenic views but it is nice and flat (unlike the rest of the paths in Central Park). The track does get a little crowded so be sure to only go counter-clockwise around it and stay to the right if you are walking or running slowly. Looking towards the west side across the Reservoir. This Central Park area is best known for the model sailboats and was the site of the sailboat race from the movie, Stuart Little. There are actually weekly model sailboat races at 10 am each Saturday. It is nice to sit and watch the radio and wind-powered boats. Weather permitting, from April through October you can rent the model boats from the Kerb Memorial Boathouse for $11 plus tax for 30 minutes. I also love seeing the buildings on Fifth Avenue reflect in the water. And there is a great statue of Hans Christian Andersen on the west side of the pond, where they have a children’s storytelling series in the summer. You can see on the map above where these Central Park areas are in relation to each other. Of course, this is only a sample of all that Central Park has to offer. I encourage you to visit and explore for yourself. 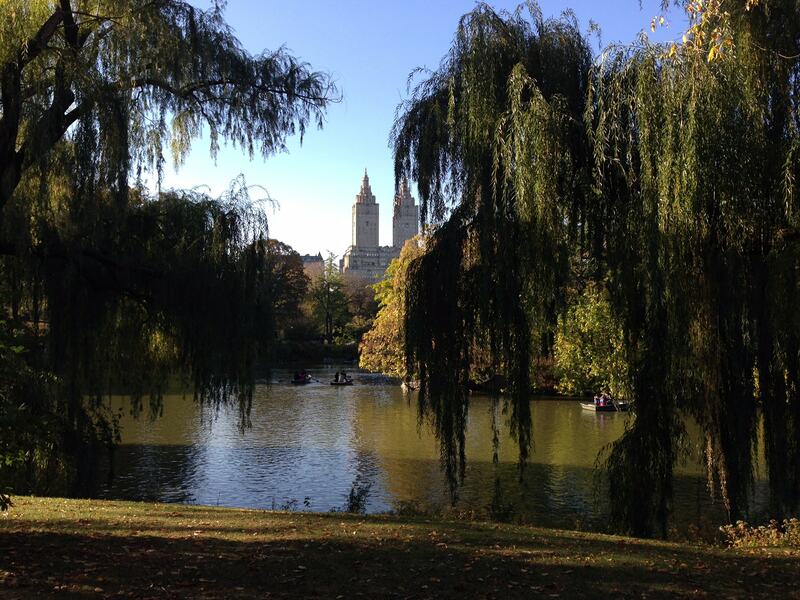 (If you prefer to do a guided tour of Central Park, check out these tour options from Viator). You can easily spend a whole day just seeing these places. I had a hard time narrowing down my list of what to visit in Central Park to just five. What are your favorite spots in Central Park? Picnic in Sheep Meadow when the weather is nice and don’t forget your Frisbee. If you can, attend an event like Philharmonic in the Park in the Great Lawn. Go early and rent a rowboat on the Lake. Be sure to bring cash. Go for a run or walk around the newly renovated Reservoir Track. 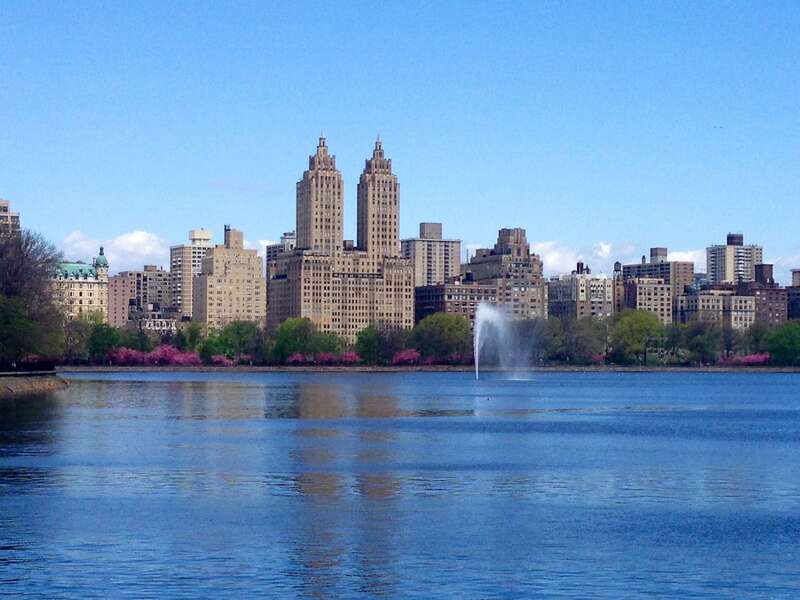 Rent a radio and wind-powered sailboat on Conservatory Water or catch one of the weekly races. Thanks Tanja. Yes I hope you get to visit it too. It really is a special place. Thanks Michelle! The row boats really are a lot of fun!